Adopt Change began in 2008 with the first National Adoption Awareness Month (NAAM) with the aim of shining a light upon the critical issues and systemic challenges facing vulnerable children in Australia. NAAM is held each November and recently celebrated its 10th year in 2017. 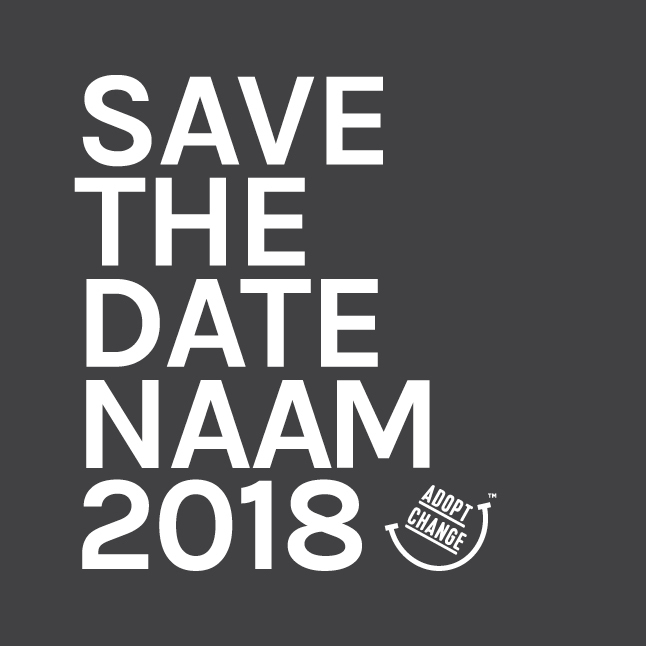 NAAM exists to raise awareness of adoption and the importance of permanency for children, along with providing education on the support needs of children and families. NAAM aims to increase insight and understanding through a series of specialist and community-based events. Each year we hear from experts in issues surrounding adoption and permanency for children through seminars, workshops or conferences. – 1st November to 30th November 2018. Information on events for the month will be announced in the coming months.